The popular zero budget fan series Doctor Who Velocity is currently working hard on their third and fourth episodes. The Gallifrey Times has exclusive photos and information about this highly anticipated continuation of their Dalek inspired story arc, as well as insight into the team’s future projects. 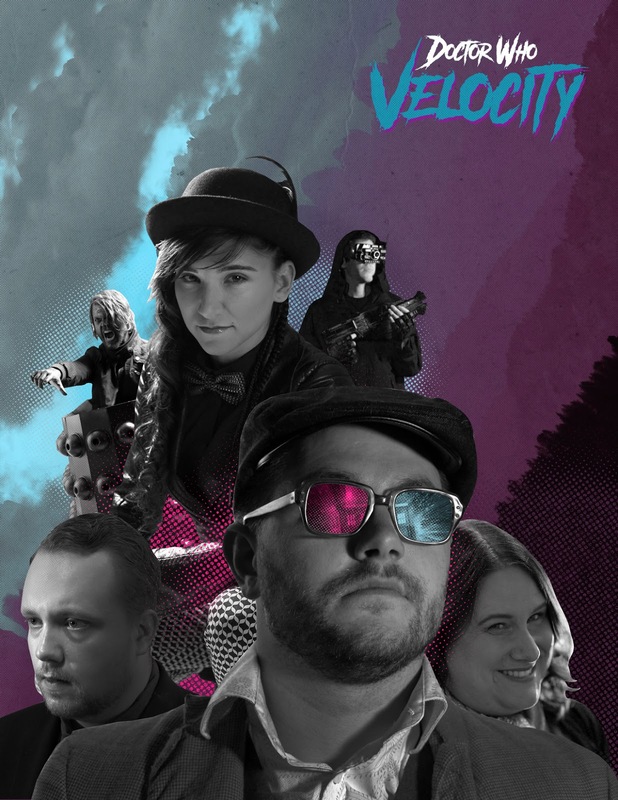 Doctor Who Velocity has had over a 100,000 video streams and has been receiving tons of praise from the Doctor Who fan community. Director Chris Phillips said “we’re really thrilled”, in response to all the positive feedback continuing, “Not bad for a zero budget project”. Their YouTube comment section for each of their episodes and trailers is adorned with gleeful and supportive fan reactions like the ones below. Having only recently come out with episode 2, they are already hard at work on the next two episodes in their fan series. “It’s been an absolute blast to have our fan-film received so well by the fans”, Phillips comments. The Doctor saw the beginnings of Davros’ new plan to take over the Earth. By embedding Dalek technology into the everyday lives of humanity, he was able to convince them to upgrade their lives by going inside their own “safe-space” – a Dalek shell! Now, the Doctor will travel to Earth and witness first-hand exactly what Davros has planned for the human-race. She meets Kevin Apiary a tech-guru genius who has unwittingly become involved in Davros’ plan and soon begins to reconsider what he has got himself into. The Doctor also has The Master at her side, who is suffering from Dalek caused amnesia. Will he help her defeat Davros, or might he regain his memory and cause her even more problems?! The Master will be played by actor Chance Fuerstinger and tech guru Kevin Apiary will be played by by Paycen McGahey. Actor Scott Grady will be returning to portray his version of Davros. You can see exclusive images from the upcoming episodes three and four below, only available here. It looks like the Daleks are really causing some trouble for the Doctor. For those who need to catch up, the episodes are free to watch online via their Facebook and Youtube pages. You can watch the beginning of the Dalek story arc in the second episode below. “We’ll have our 3rd episode out before the official [Doctor Who] series premieres, and then we have some audio adventures lined up for the future”, Phillips explains. More fan episodes are planned for next year after Series 11 of Doctor Who has wrapped up.